Radio Rant: Taylor Swift – Shake It Off | Ranting About Music! Hello, and welcome to Radio Rants. Might as well get comfy with the song that’s going to be inescapable for the next few months. I think Taylor Swift won. Or rather, I think Taylor Swift knows she won, and “Shake It Off” is her moment of arrival as a pop star. 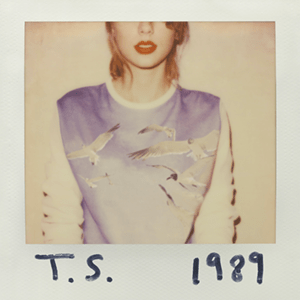 Hell, just from a marketing stand point, the song’s release and the announcement of 1989 has been near flawless: after 3 massive pop-country albums and then the rousing success of Red as a crossover attempt, she had the clout to drop a single that doesn’t even pretend its county, complete with a video that’s kind of a playful/kind of not a jab at other artists. It’s not quite as on the nose as Kendrick’s verse on “Control”, but it’s a takeover, all the same. Swift’s rise from fame to megafame’s been about impressive PR as much as it’s been about pumping out consistent music every two years. I’m sure if you searched her apartment, you’d find a copy of Machiavelli’s The Prince with cupcake recipes and cat doodles in the margins. In addition to her lyrics balancing wide appeal and personal relationships, she’s always pitched herself as the sweet, gawky girl you had a class or two with and still get coffee with monthly, even as her records sold circles around everyone else. She acts very genuine and honest, and I’m sure Taylor Swift’s a nice person, but her so-sincere-it-can’t-be act seems like a joke you’re both in on. Imagine Jennifer Lawrence with awkward dance moves instead of pizza. Speaking of awkward dance moves, back to “Shake It Out Off”. However awesome this thing is as a long-coming powerplay, I’m not as wild about it as a song. The beat cribs from “Happy“, and fittingly suffers from the flaw: fun as it is, the song laps itself far too much. The strain on that snare-high hat hit and marching band horn line start showing just as we come out of the “Hey Mickey” sing-talk break, and there’s still a minute of looped chorus to go after that. It’s supremely catchy, but also blurs the line between catchy and repetitive. “Shake It Out” is also unabashedly populist, blending a Pharrell beat together with Ryan Lewis/Ariana Grande horns. There’s also some Miley attitude in there (plus a side of her own “I Can’t Believe They’re Not Props” criticism) for good measure. I don’t think this is territory Taylor Swift needs to win. Okay, to be fair, “Shake It Off” is a fun song, such to the point that you can’t grouse about it without coming off as a sourpuss. Playing off of Swift’s awkwardness and kind-of-perceived-but-not-really faults mostly works because of the song’s dorky rush, but all of her “haters gonna hate (hate, hate, hate, hate)” talk strikes me as the wrong kind of defensive. Swift’s made a career out of passive-aggressive takedowns justified through her own victimization (“you broke up with me, so I’m going to write this song about you”), and without any inciting incident or pain to back it up, “Shake It Off” seems self-congratulatory instead of empowering. Swift is, at this point, a juggernaut commercially and bulletproof critically. More to the point, she carries herself like she knows this, and watching her bad-dance through “Shake It Off”‘s humblebrag of a video feels more like watching a supervillain gloat than an underdog try. It doesn’t help that the song’s subject material is Taylor Swift. Other people could see themselves in “You Belong With Me” and “We(yee) Are Never, Ever Getting Back Together”, but “Shake It Off” is explicitly about Taylor Swift the same way “Power” is explicitly about Kanye West. It even flounders on that level because “Shake It Off” feels like a dishonest assessment. Who has ever (like, ever) said Taylor Swift stays out too late or has no brain, especially considering she’s widely accepted as a brilliant marketer? The “I’m dancing on my own“ line falls flat, too, with the song’s entire video dedicated to running the “Taylor Swift can’t dance” joke a mile into the Earth’s crust. And seeing Swift unapologetically ape a cheerleader for the bridge when her breakthrough coined “She’s cheer captain/and I’m in the bleachers” has gotta send legions of Fearless fans away in betrayal. “We Are Never, Ever Getting Back Together” at least saw Swift making pop music on her terms, “Shake It Off” seems content to run on autopilot. The pop world’s more interesting when Taylor Swift’s in an album cycle, and while that still holds true for 1989, “Shake It Off” isn’t exactly a promising start. It’s a fun, but kind of dull song, even divorced of its baggage. It might mark the start of Swift’s official (TM) Foray Into Pop Music, but hopefully she remembers to bring her personality with her for the rest of the album. Otherwise 1989 might be a long year. This entry was posted in Radio Rants and tagged 1989, music, pop, radio, review, Shake It Off, Taylor Swift. Bookmark the permalink.